Another new Display curtain that we have just installed, and it looks fantastic!!! 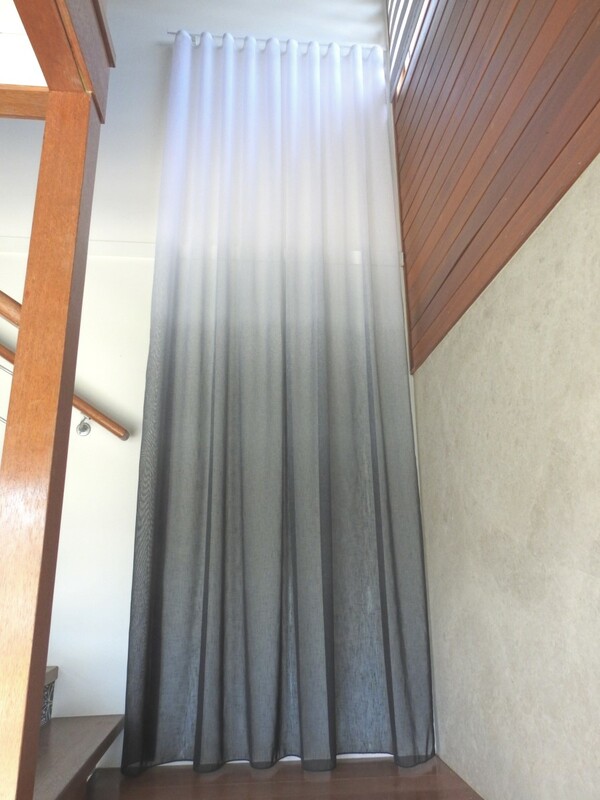 Copacabana is a truly beautiful Ombre sheer where the colour fades up the fabric from dark to light. Copacabana’s ombre effect has been printed on a 100% polyester linen look which gives the already delicate fabric a further overall depth.